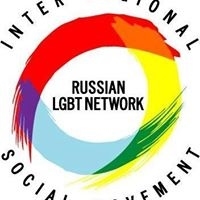 - Help us to spread the information about the fact that the Russian LGBT Network is ready to evacuate people. Please think for whom this information can be useful. You can spread the information publicly or personally. Everyone who needs help can contact us by email or call the Hotline (8 800 555 73 74). The call is free all over Russia. - In accordance with the Russian legislation, every citizen can apply to the Investigative Committee with the demand to investigate the information about the crime published in mass media. We encourage everyone to apply (the template of the claim will be published tomorrow).